I'm going to use this blog to describe how we managed to construct just over 107,000 houses over 4 years, saving almost $70m compared to "conventional reconstruction" models. Drafting reports and evaluations of this effort I have realised that these remarkable results may never see the light of day. The whole endeavour could be forgotten about in a few years as fresh disasters flood those of yesteryear into distant memory. 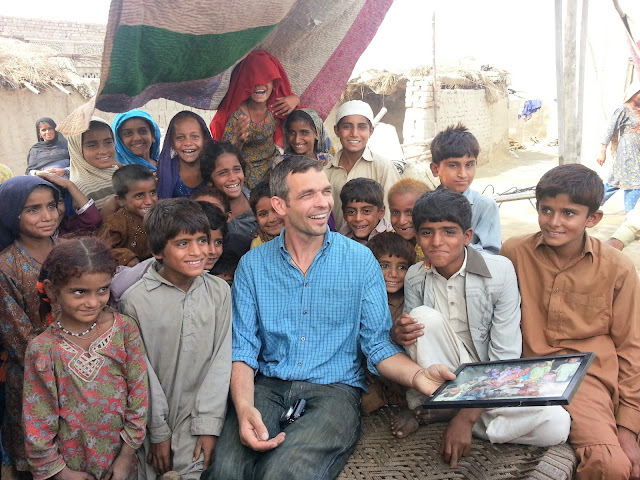 About me and my perspective: I've been the shelter advisor to the UK's Department of International Development (DFID) Pakistan since 2010. I have been deeply involved in the design and implementation of this programme so perhaps my view is somewhat biased. I'd like to use this blog (and other publications hopefully) to make this work more transparent - to let more people know and to challenge it. The work described here should help people cope with flooding for years to come; their homes should not collapse next time major floods occur. Starting in 2010, severe monsoon rains and widespread flooding destroyed over a million houses across Pakistan. This led to the world's largest humanitarian appeal at the time. 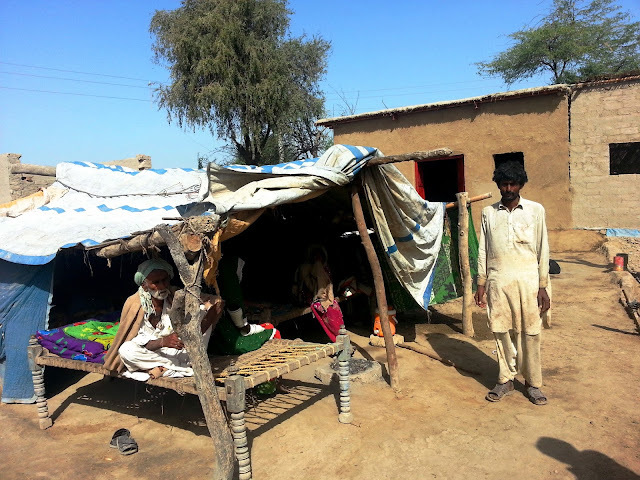 By September the next year an unprecedented 40 days of rain fell across Southern Sindh, destroying another half a million earthen homes in conditions an old man told me “in all our lives we've never seen weather like this”. A year later - 2012 - and another flood – this time a mind-boggling five days of incredibly intense rain (one year's rainfall in a day in some areas) brought down a further 400,000 houses. September 2012 - after the floods in Northern Sindh. (Picture: Joon / Norwegian Embassy who had the chance to survey these floods by helicopter). That's around two million homes in ruins which means that around 14 million people - already battling poverty, malnutrition, contaminated water, numerous health hazards, find their world inundated, awash with new problems, debts. And homeless to boot. People sometimes ask what is that I do in my job. Well these kind of crisis sets the scene; the tangible suffering and misery you sense when visiting some of the kindest and most welcoming people you are likely to meet anywhere, can trigger an inner call to action. And action, or doing something about the problem, has been my way of translating empathy into something more useful. The other thing about my work is that there's a whole collective of us that do this stuff, and some of the best things happen when good people put their minds together and collective shoulders to the grind stone. And that's what we've been doing these past years, with the people worst affected by the flood. I will try and use this article to let you see their perspective too..
First, a quick summary of the project. Scale: between 2011 and 2015 this project supported 107,000 families to build flood-resistant homes. Training on better building practices was given across thousands of villages to men and women in communities devastated by floods. Rather than a wave of external contractors or hired builders rebuilding people’s homes, this has been a community-led movement that has seen the re-skilling of hundreds of thousands of people. Low-cost: the budget for each reconstructed home ranges from between £210 to £350 which includes the agency staff, transport, admin and overheads – as well as the external consultancies providing training and technical oversight. In case you’re wondering this IS a remarkably low price for a flood-resistant house which should last for generations. In comparison, most housing supported in the post-flood (after 2010) was costing around £750 – many models costing twice that. So, this is a saving of around £50m ($70m) across the 107,000 target shelters. This “saving” has of course been used in the project itself and has been translated into thousands of additional families living in houses that should withstand future floods. Low-carbon: By choosing to avoid fired bricks and cement wherever possible this project has saved approximately 370,000 tonnes of CO2. This is equivalent to 3 days emissions from the city of London, 24,000 Brits carbon emissions for a year, or 170,000 inter-continental return flights. I have calculated these emissions reductions using a peer-reviewed life cycle analysis of building materials from around the world. See footnote for source. months before the correct ratio is selected. Lime: Used for almost 5,000 years lime is one of mankind’s oldest building materials. Formed over 300 million years ago from a previous time of extreme global warming lime is far more than an additive, it has been the key stabilising material that can turn ordinary soil into completely water-resistant blocks. By employing a basic formula and tests used by Roman builders 2,000 years ago, the lime consultants from Strawbuild UK have shown local villagers how to experiment with their locally available soil until they find a mix that can sit underwater for months, indeed, indefinitely. This happens when lime is combined with the right amount of clay (or volcanic ash if you happen to have it) to create hydraulic lime – known to solidify under-water. 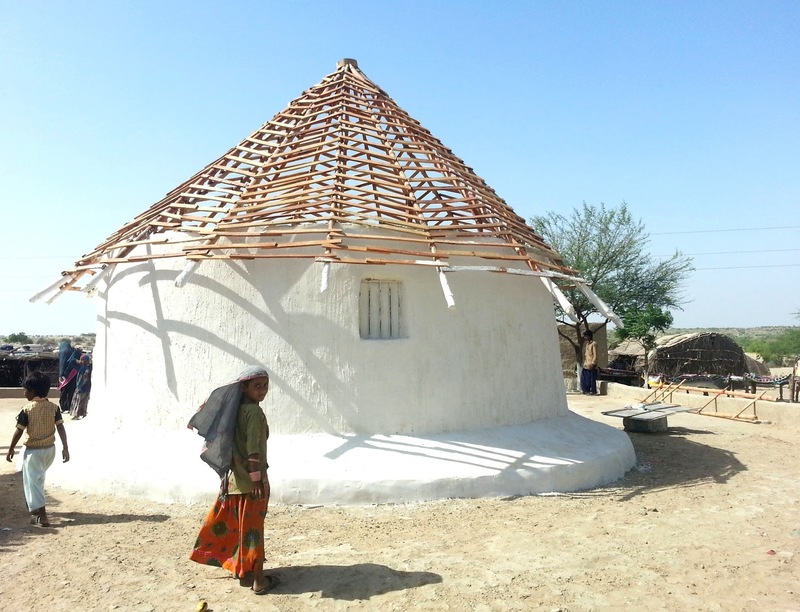 The entire village can see this process – earth bricks thus made remain steeped in buckets of water indefinitely. The “seeing is believing” adage couldn’t be more true in this case: local people are so confident in the ability of their building materials to withstand water that a visitor will be greeted by a lecture on the finer arts of lime construction in remote villages across the land. Linking emergency-recovery and resilience: three consecutive floods from 2010 – 2012 meant that humanitarian organisations were often responding to emergency shelter needs (people literally displaced on roads or any higher ground) at the same time as working on durable shelters in another part of the region from a previous years' flooding. A "roofing kit" designed by HANDS - inlcudes a steel girder two plastic sheets, enough bamboo poles for a roof in the future a solar lamp and a water filter. The design of this temporary shelter could be improved but it's what people decided on. The main point is that these materials can be used in the reconstruction phase, which a tent, for example, cannot. Realising the inevitable link between these phases of recovery one of our local partner organisations, HANDS, developed a roofing kit that would provide ample accommodation in the emergency phase and be dismantled and brought home when return was possible. Here it could be re-used for semi-permanent transitional shelter and again a third time when the funds for durable, flood-resistant shelters were raised. Costing no more than £70 ($100) the kit included sufficient bamboo poles for a normal roof (and a good sized temporary shelter), plastic sheets and a steel beam that would become the central structure of the temporary and, later, the permanent dwelling. 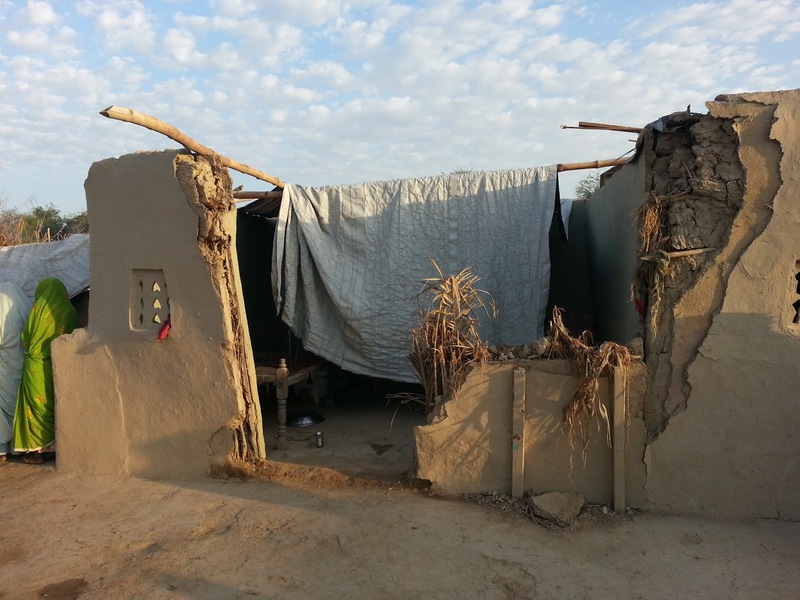 This may be the first time in Pakistan that building materials have been used across the “relief to development continuum”; it has also reduced the cost of providing shelter support to the same family twice. In fact it has enabled HANDS to become our largest shelter partner, reaching over 50,000 families over this period. OK here's me (eeks) - in a village in Jacobabad, North Sindh, where I'd visited a couple of years before, and was bringing them a picture from that last trip. Staying on the same programme for years means you can understand better what works and what doesn't (as well as keeping in touch!). 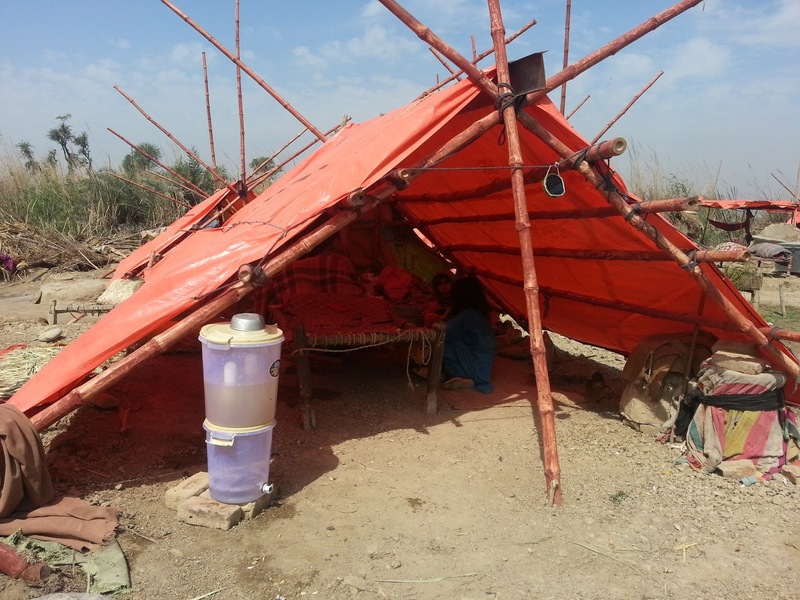 Sustained donor engagement: the fact that DFID approved the submissions from the humanitarian team at DFID Pakistan year after year, sustaining a focus on shelter (as well as livelihoods) has been critical to the success and continuity of the programme. Indeed DFID has been the leading donor in the shelter sector since the 2011 floods, contributing over £30m towards this effort. 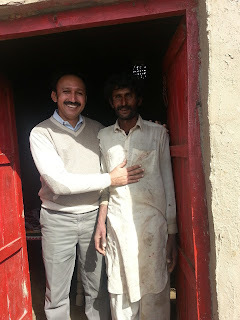 This enabled a British shelter adviser (er, me) to remain engaged with DFID-Pakistan, living in Islamabad through most of the project period, travelling extensively across every district and meeting beneficiaries in hundreds of villages. sunlight while the lime render cures properly (it shouldn't dry too fast). So far this project has reached around 750,000 people across flood-prone areas in Sindh, Southern Punjab (Rajanpur specifically) and two districts of Eastern Baluchistan. So much of this process is about community engagement. Here in a community HANDS was working in Mirpukhass they had encouraged community-based-organisations to plan their own recovery. One each for men and women. And wow! they were so vocal, active and engaged it's always inspiring. 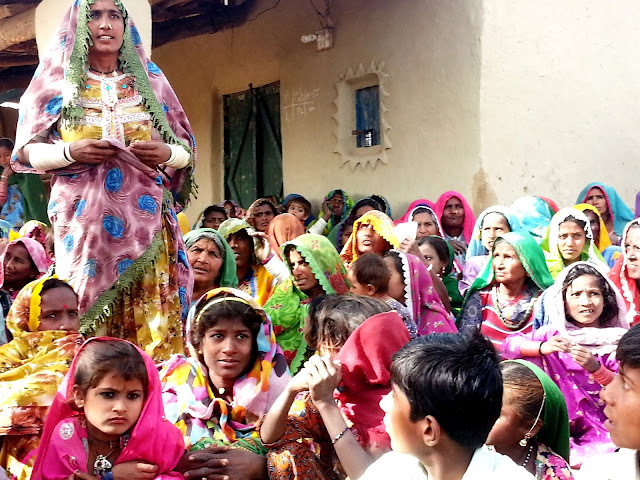 This is one of thousands of Hindu communities that live across SE Sindh, in peace with their Muslim neighbours - and without any kind of persecution from the Government it has to be said. OK, so that’s the overview of the project. Why is this such a big deal? 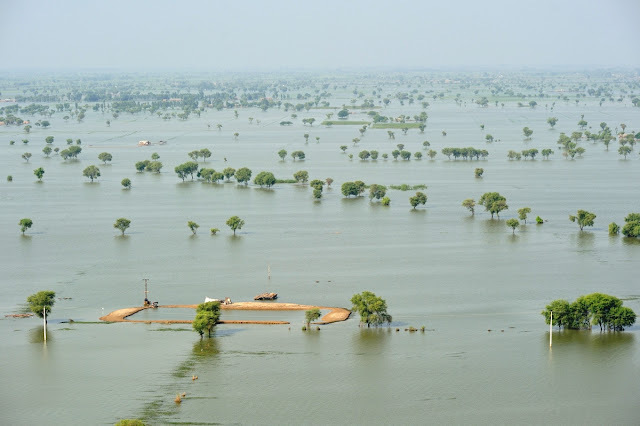 Well… Extreme flooding is becoming a regular event in Pakistan (Nepal and India too) made worse by climate change but also really inappropriate land management further up the watershed. For example, the rampant deforestation in Northern areas means less water is held higher up the landscape. Without trees and vegetation on the land water flows downhill as the natural means to hold it has been taken away (often by unscrupulous “timber mafia” who get away with clear cutting). I’ve heard Pakistan’s forest cover has reduced from about 25% to 3% over the last 50 years. Bad news. So, systems and technologies to build affordable homes that can cope with annual flooding are going to be needed for generations to come. What we’ve done here is prove that a model exists that doesn’t need to cost the earth. But the problems further "upstream" really need to be tackled to in a long-term landscape regeneration programme at enormous scale. with support from Heritage Foundation, IOM and their local NGO partner. This initiative shows that it's possible to take an alternative, low-cost, low-tech and low-carbon reconstruction programme to scale - that is: not limited to a few hundred houses as alternative projects often are. Our amazingly dedicated partners trained men and women in some really isolated places to build houses to a high standard. People who were mostly illiterate – but dilligent and committed. Now, as I move around other countries of the world I see how many other flood-prone communities could use some of these skills, so to start off I'm going to write about what we did in Pakistan, how and why, how much it cost, then you can decide if it's worth taking further. Vernacular building in much of rural Pakistan consists of earthen or thatch walls, seldom stabilised or water resistant. Fired bricks are available, but they are expensive, so the vast majority produce their own sun-dried mud bricks – using the earth around them. Our aim here was to work with the vernacular, find ways to improve and enhance it, to make the design and materials changes necessary to allow homes to be flood resistant. Made with wood and straw, covered in mud, with no roof eaves these houses are vulnerable to intense rainfall as the walls can collapse from the top down. Roofs provide scant protection from the rains; there are rarely protruding eaves, which leaves the entire house all too exposed to heavy downpours: water penetrates and softens the tops of the earthen walls until they cannot support the weight of the roof and the whole shelter collapses. Other types, these from Southern Sindh, with twin-pitch roofs, with better eaves over the walls. But the walls collapse when submerged for too long. The project was a product of a close partnership between DFID-Pakistan and several local and international organisations. The main implementing partners, between 2011 and 2014 were: Health and Nutrition Development Society (HANDS), a Karachi-based local NGO, the International Organisation for Migration (IOM), a UN agency, and ACTED, an international NGO. Two other organisations contributed technical design, materials consulting, advice and training: Heritage Foundation – a Karachi based NGO working in cultural heritage restoration and in traditional and natural building, who worked with IOM and local communities to rebuild using local materials, especially bamboo and lime; and Strawbuild, a UK-based consultancy firm specialising in natural building systems. Strawbuild developed detailed training on working with lime (CaCO3) and worked with all three implementing NGOs - Hands, IOM and ACTED - to incorporate lime in their building materials and practice. shelter advisors in Pakistan going forward. design experience in lime and other natural materials. Project Ambition – what were the intended outcomes? Ultimately, the point of all this effort has been two-fold: restore people's homes and to reduce the impact of future floods for people living in areas that are likely to be exposed to extreme weather events. 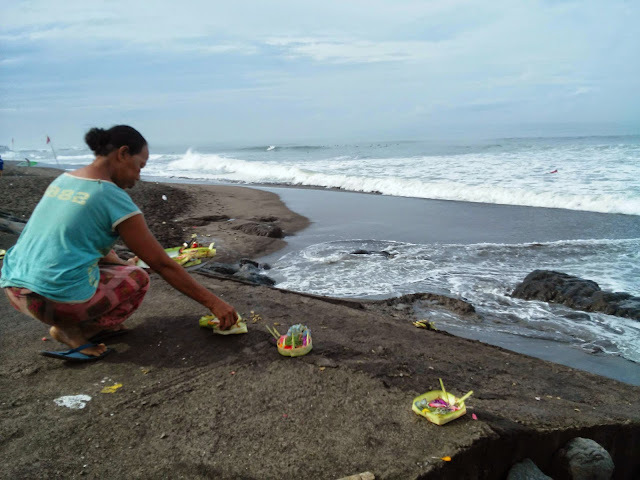 By reducing the impact we'd also hope to reduce, to some extent, people's vulnerability to “natural hazards”, to increase their resilience to these predictable threats. Vulnerability (and resilience) are however complex issues and it would be wrong to assume that a stronger home, by itself can fix all the problems. For people that face myriad problems like having only contaminated water to drink, barely any power or energy services, denuded, deforested landscapes, chronic malnutrition, unequal access to land, limited work and training opportunities, no access to financial credit, insurance, dysfunctional judiciary systems – vulnerability means living in the shadow of all these combined overlords of poverty. In terms of ambition, I think this is one of the largest shelter programmes in the world that has supported so many local people to build flood-resistant houses at such a low price, avoiding enormous atmospheric pollution, using lime and other natural, affordable, locally-available materials. So far the project has helped around 750,000 people across flood-prone areas in Sindh, Southern Punjab (Rajanpur specifically) and two districts of Eastern Baluchistan. For years after all of the major floods people lived in shacks like this, shown in the foreground, using some basic materials (they hadn't received the longer term roofing kits, which came later). 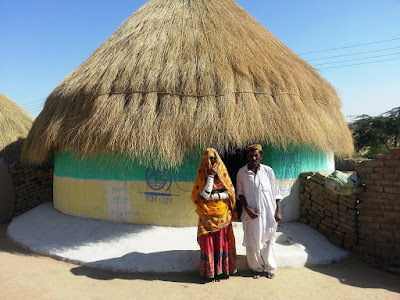 The building behind has just been finished by the family - the older couple's son still displaying recent plastering work on his shalwar khamiz! But this just shows how a (hopefully) durable shelter can help move people from vulnerability and deprivation to a place of more confidence and ... resilience. Environmental and Social factors - should we put a value on these? I'd recently completed a Masters in sustainable building and energy, so I, like every other graduate couldn't help but see the environmental impact of modern, energy intensive building materials - especially when there are so many low-carbon alternatives that do the job just as well. Emissions and pollution from brick kilns, cement production, local deforestation all contribute to a more denuded and vulnerable ecological landscape that leave people much more at risk from floods or storms. Which in turn are more severe because of excessive global pollution and climate change. A viscous cycle. Brick production in Pakistan should be understood by those building anything - if environmental and social impacts are counted and valued at all. The major brick kilns are largely unregulated and are mired in reports of unethical treatment of workers such as bonded and child labour and gruelling working conditions. Should humanitarian organisations be buying from unethical suppliers? Arguably, buying such bricks exacerbates environmental and public health crises, while condoning human rights violations. (Many an essay topic in there). The reconstruction projects are, by design, community-led. Each partner worked closely with each village, seeking active engagement and participation. In many cases the partner NGOs formed community based organisations (CBOs) including both men and women (jointly or separately); these became dynamic focal points for community action – beyond the housing project. For example, some CBOs are using their new capacity for organisation and collective “voice” to articulate wider needs and priorities. Community members themselves managed the funds provided for purchasing shelter materials; this meant people were in control of the process. The payments are split over three tranches, each following the completion of an agreed building phase (such as foundations, top of walls, etc.). This way the people are in control of procurement, liaison with traders, timing of deliveries and funds administration. Regular monitoring by the implementing partners (and us, in DFID) revealed that there has been little or no misuse of the reconstruction funds. This approach has also saved enormous resources otherwise spent on the rental of warehouses, trucking contracts etc. Instead, market traders came to the communities to sell their wares, paying their own transport, managing their own logistics. £30m over three years has been provided by DFID based on detailed proposals submitted by the implementing partners. That's about £40 a person - or £280 a family - which includes all agency overheads, staff, technical consultants, DFID oversight, etc. Link the response to emergency shelter needs to longer-term, durable housing. It makes more sense than investing twice for the same objectives. Think long term when you programme an initial response. Use lime in flood areas. There is ample evidence that lime resists water better than any modern material. This dates back from the Roman and Indus civilisations - whose structures, built over 5,000 years ago, are still standing in Northern Sindh. Lime is a complex material that requires training from experts with appropriate experience. It is not like cement that can be mixed in a simple ratio with sand or earth. It requires extensive local testing and research before it can be used at scale. Make sure you plan in at least 3 additional months for this research. Promote community mobilisation and engagement from the beginning. Reinforce beneficiary ownership by giving control of local expenditure to the community, rather than external agencies. Deal with other issues in the community while engaged in the housing. Can the low-cost building blocks be used to build latrines too? Why not address the health crisis sparked by the use of sub-standard cook-stoves by introducing better models? Involve local academia wherever possible. Local students are thrilled to be engaged in ongoing projects. This way more people observe, learn, practice and can disseminate the lessons that emerge. [We so need to do better in this regard...]. Publish findings, encourage discussions and spark debates – make these projects widely known through journals, films and articles, so they don’t remain isolated cases closed to anyone who wasn’t directly involved in the project. Human poo & pee causes more death, malnutrition and economic problems than any other single issue; yet like animal manure, can be a source of nutrients that can build health soils, regenerate landscapes. 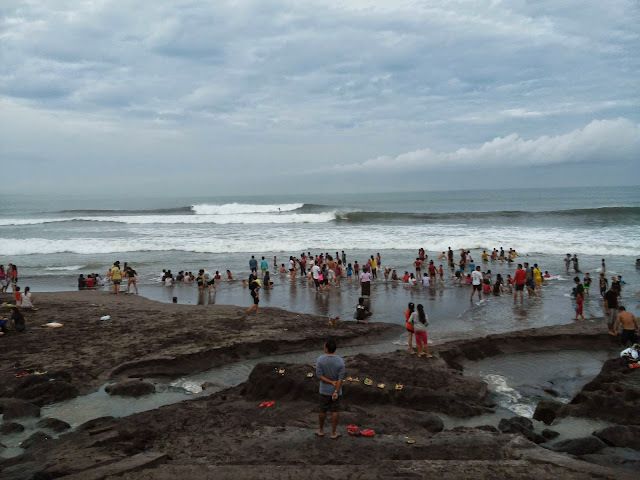 This is the first of a few blogs where I'll explore consequences of terrible sanitation, better treatment options some of the radical new approaches to changing habit and practices that work, and some that really don't. When there's no toilets in a community people "go" in the open, behind bushes, buildings, wherever they can find. If you visit lots of villages you soon get that whiff of exposed poo, and if you spend a bit of time with that community you get to understand what happens when people are in such close and regular contact with their "wastes", from the high levels of diarrhoea and a host of other water borne diseases they live with (and pay for in money for medicines and visits to distant clinics). In this blog I discuss earth-bag construction as an option for shelter recovery in Nepal. I start off with a quick overview of how the humanitarian coordination is going with the relevant links to access this info for those people unfamiliar with the system. So skip down a bit if you want to get straight to the earthbag issues, links, etc. training help from Edge of Seven, others shown below. and require a fraction of the logistics of importing bricks and cement up the damaged roads, etc. Last month I went to Northern Lebanon, on a short mission with CARE International, to help them figure out a strategy to deal with the dire housing problems faced by Syrian refugees. To short cut to this presentation (more pictures than words, go here). Almost immediately I was blown away by the scale of the crisis in Lebanon: a country of just over 4.2 million people is hosting almost 1.5 million refugees. That's around a third of the population! Meaning that Lebanon now has the highest per capital concentration of refugees in the world. Imagine Britain or France taking in 20 million people, and the kind of impact that would have on public services that people often complain aren't good enough as it is. Well, it's not really any different for Lebanon, except that their public services have been in worse shape than those in rich European countries. Talking of Europe, it appears that the entire EU block has offered asylum to a grand total of 134,000 Syrian refugees, so around 10% that Lebanon has taken. Yet the population difference is so great it means that Europe is offering refuge to 1,000 times fewer refugees compared to Lebanon.